Since our beginning in 1968, we at Manchester Eye Care have taken pride in providing the most thorough eye care possible. Because your health and well being are our primary concerns, we stay abreast of the latest developments in diagnostic and treatment procedures, ophthalmic frames and lenses, contact lenses, and refractive surgery. We use the latest technology and pride ourselves in providing exceptional care and service to our patients. We relocated to our current location in 2011, and in 2012, Manchester Eye Care became a proud member of Vision Source. Now in our sixth decade of service, we at Manchester Eye Care pledge our commitment to providing you with the highest level of health care for your eyes. Any suggestion you may have for improving our level of care or service is welcomed. Please call us today at (636) 227-8700 to schedule an appointment. Or, to request an appointment online, please click here. Manchester Eye Care is a member of Vision Source, a network of eye care professionals dedicated to being more focused, innovative, caring, and trusted. 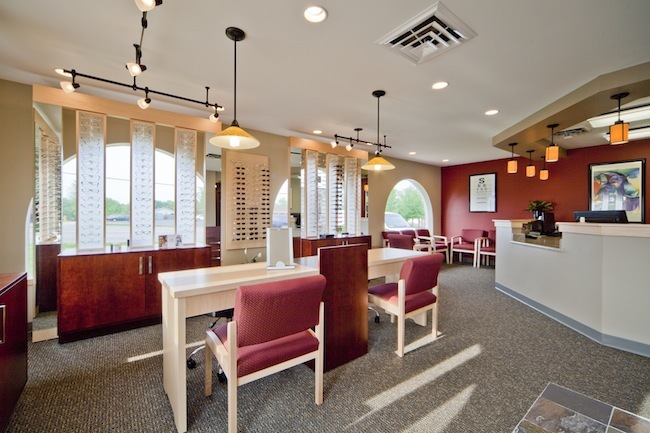 It is our goal to provide the gold standard in eye care for our patients. We are a supporter of Vision Source in the greater St. Louis Area. See more at visionsourcestl.com.